100' Roar Obstacle Course | FroggyHops.com Minneapolis MN. Outlets: 3 Electrical outlets required. Froggy Hops provides three 12 gauge outdoor extension cords (one for each blower) that are 100 feet long each. 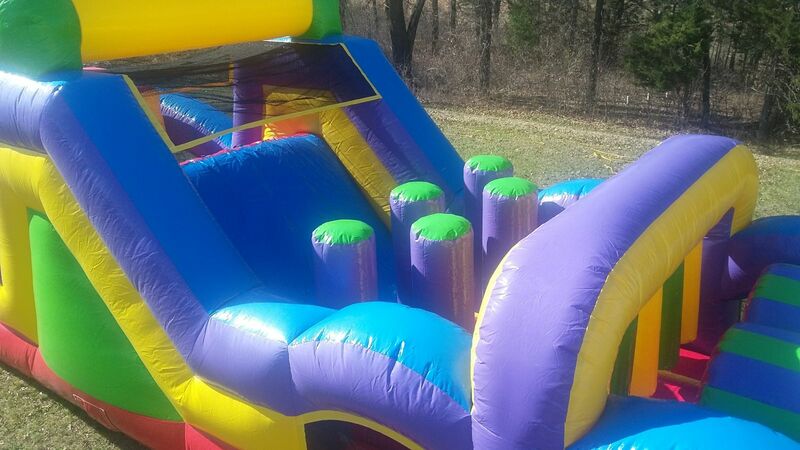 This is included for FREE with every inflatable rental! Try to make it through! 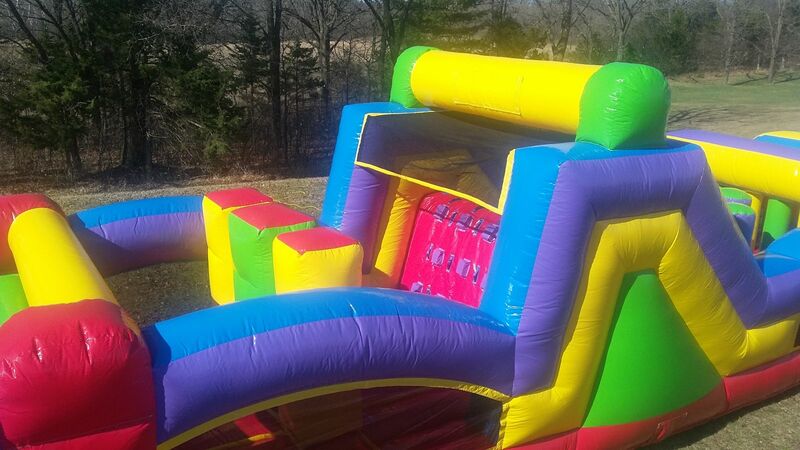 Two Participants compete in two separate lanes through this amazing obstacle course! 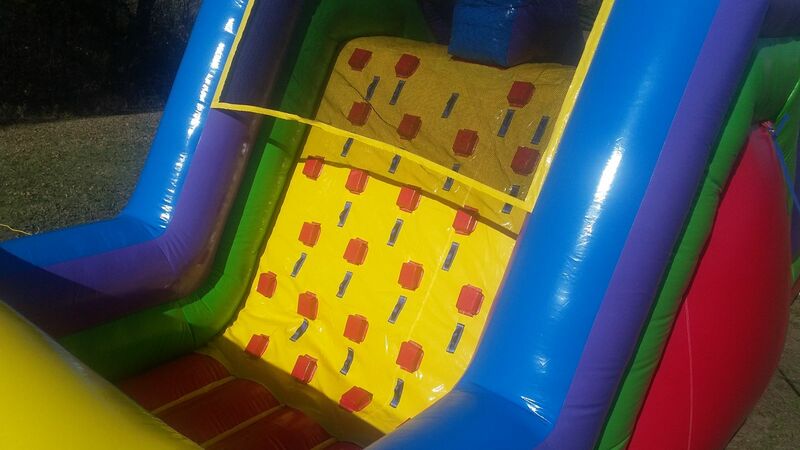 This 100 foot long inflatable obstacle course is designed for two participants to go head-to-head in a race to the finish line! Racers fling themselves through, between, under, and around obstacles to the final climbing wall that stands 15 FEET HIGH! 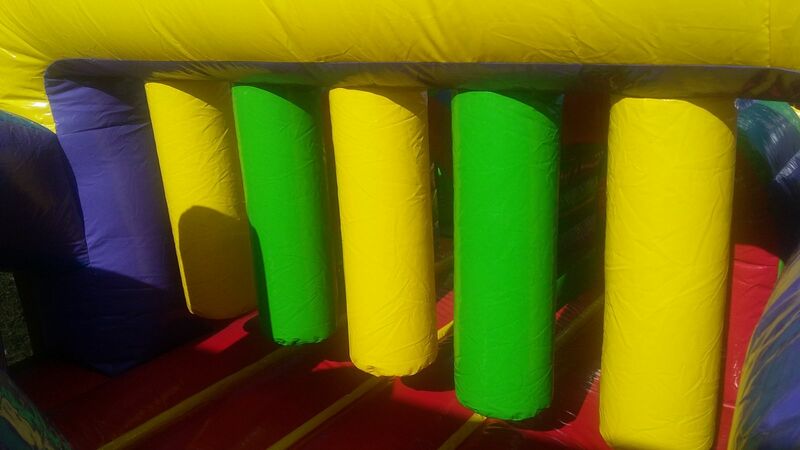 The 100' Roar Obstacle Course features tunnels, vertical pop-ups, horizontal log obstacles, archways, squeeze-throughs, hanging bars, inflatable hammer push-downs, climbing walls, and a 15 foot tall slide. 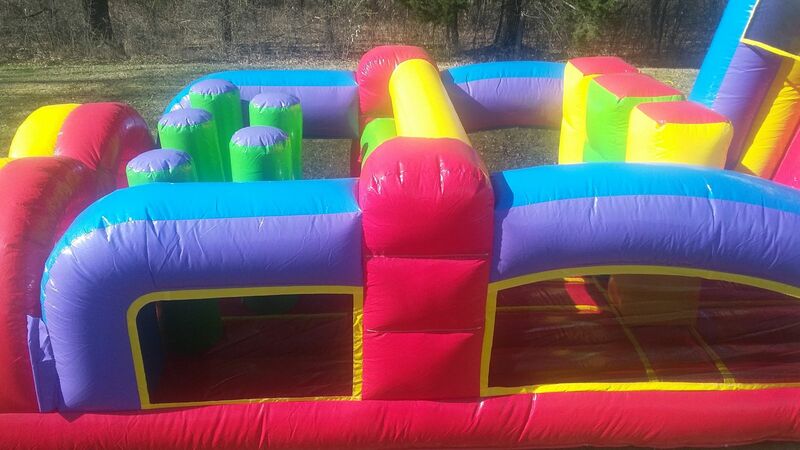 All the extra obstacles will provide fun and active entertainment for particpants and viewers for hours! 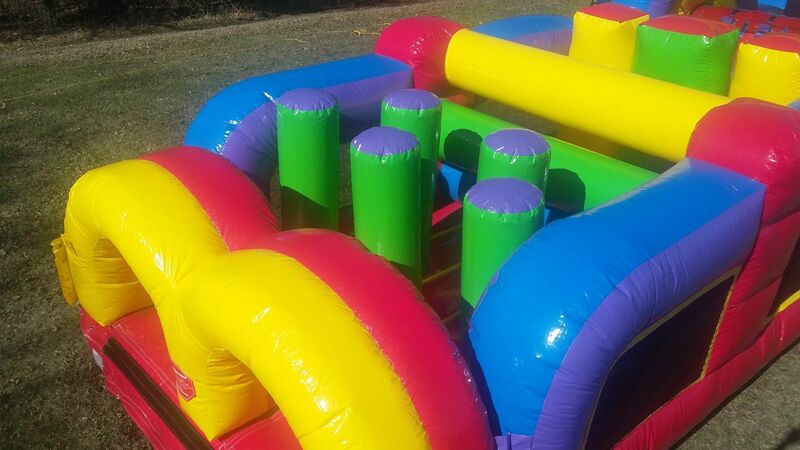 This inflatable obstacle course is perfect for younger kids at a birthday party or school carnival, but do not be fooled.... it is even more hilarious and challenging to watch older participants at company picnics and senior all-night parties as they try to maneuver the obstacles. This colorful course is fit for boys and girls ages 2-102! 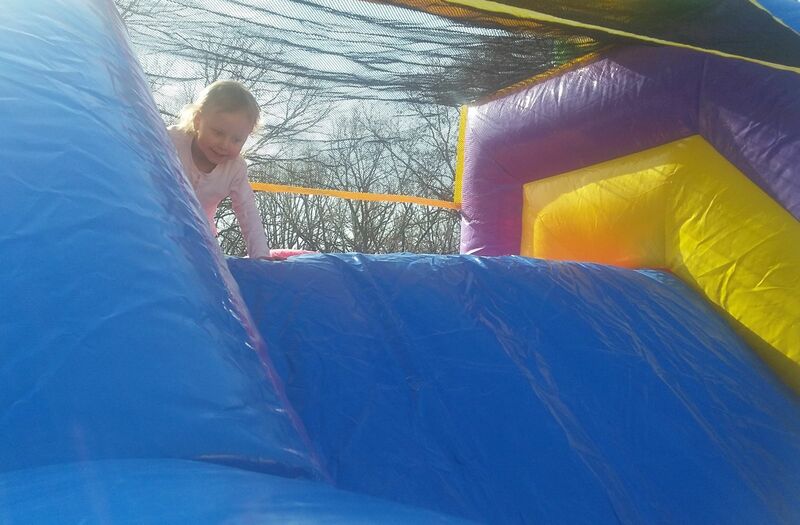 In addition to the numerous obstacles, this course features an inflatable entrance area that keeps excited kids safe as they scramble onto the course. 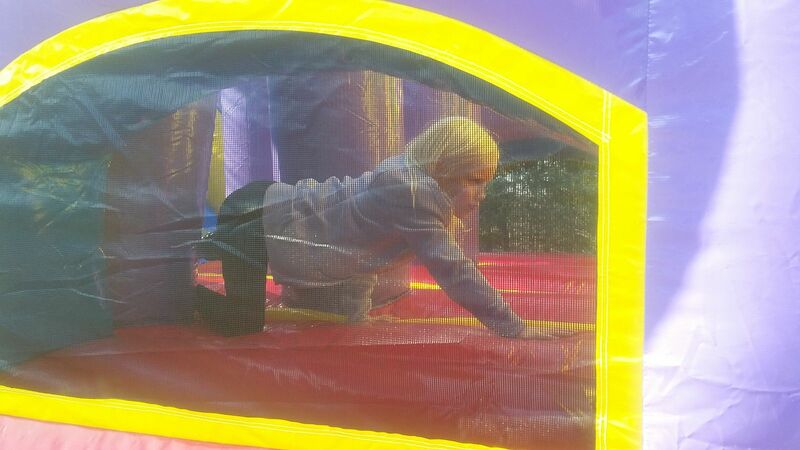 There are side windows with safety netting surrounding the course that contain the most ambitious kids and keep them from falling out, but make it easy for supervision to view the excited activities inside. Additionally, the side-windows offer lots of opportunity for air-flow to keep the runners cool. There are staggered hand and foot climbing grips that make it easy for the younger (and older) particpants as they ascend to new heights on the rock-wall style climbing wall. 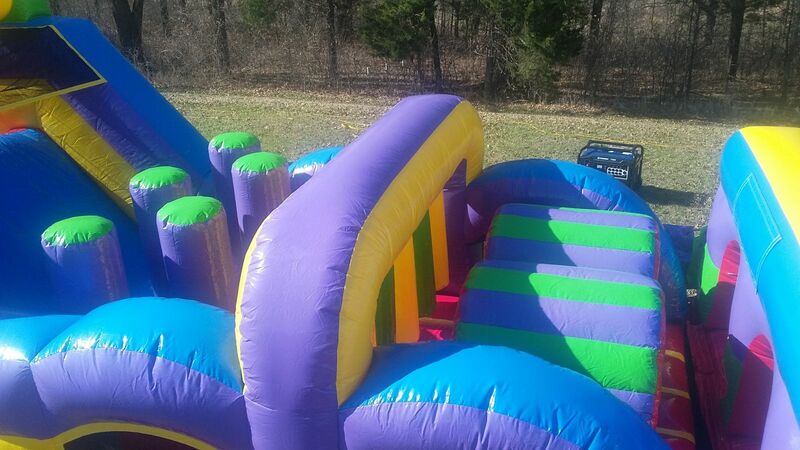 Once over the wall, they can slide down to claim their victory! 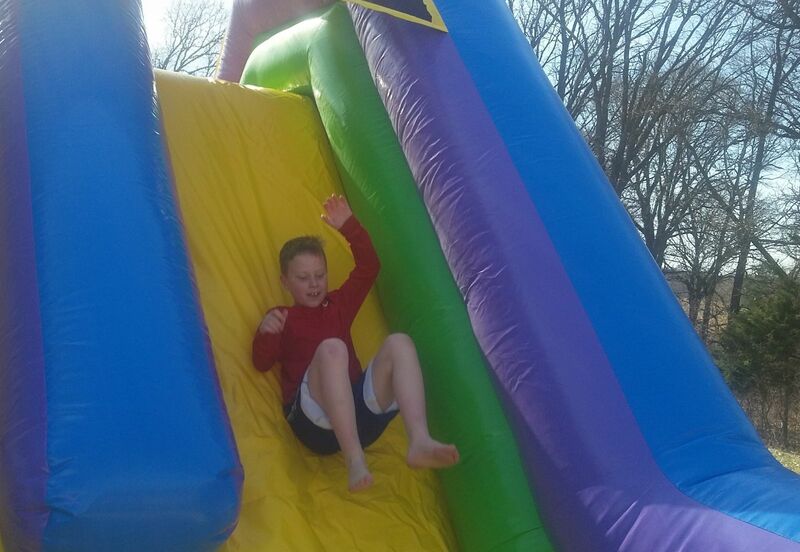 The slide is covered in a non-wax slippery slide surface that sends climbers gliding down smoothly and quickly and prevents screeching and burning sensations. The safety netting on the top of the slide area provides some shade for the participants and keeps ambitious kids inside the course even at the top-most heights. With two identical lanes for racing, the 100' Roar Obstacle Course lends easily to a little friendly competition or just backyard fun! 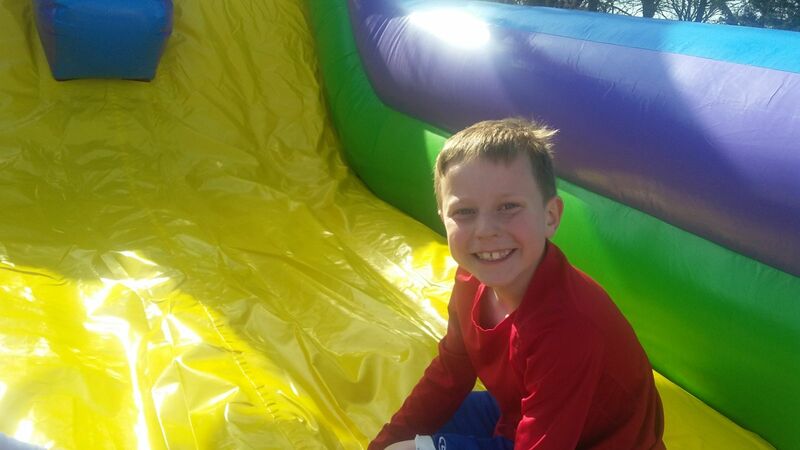 Although the obstacle course provides hours of fun, the line of waiting participants is quick-moving and kids (or adults) get lots of turns running through, which makes it perfect for school carnivals, church events, or large city festivals where the number of guests can be enormous. 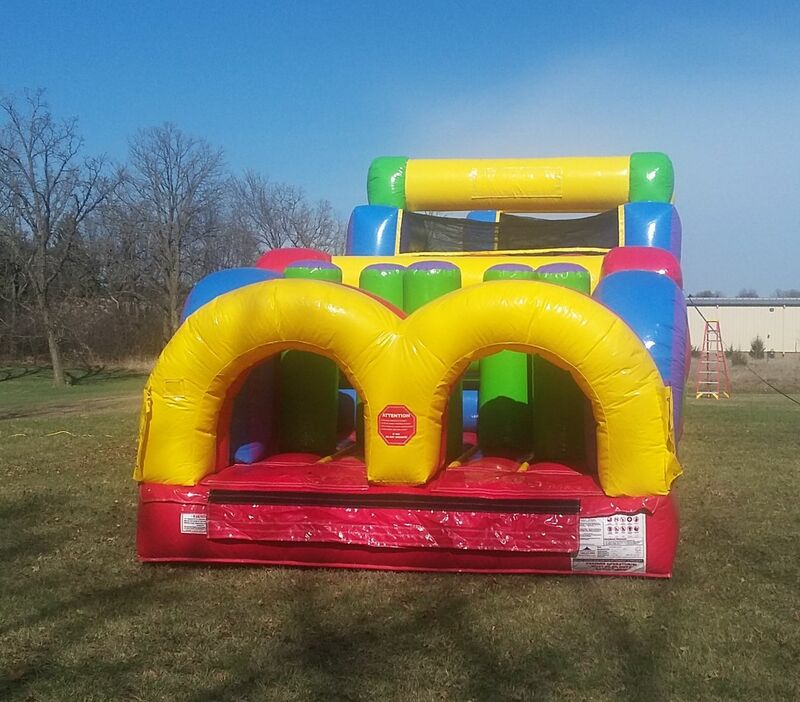 Nevertheless, obstacle courses are the new norm replacing traditional bounce house rentals at backyard parties in addition to larger events!